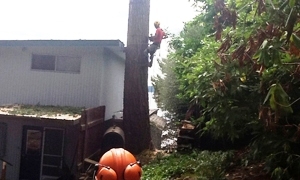 Hunter's Tree Service provides one of the leading tree climbing services in the area to University Place, WA residents. We have built a reputation for providing a safe and efficient tree climbing service, regardless of the job size or complexity. We offer tree climbing services to both residential and commercial clients. All our tree climbers are highly trained and experienced. Our teams utilize the advanced methods and equipment on all tree climbing jobs in University Place. Pruning large trees is much more than the simple sawing off of tree limbs. Pruning large trees is both an art and science, which is why it is very important to hire the right company for pruning large trees because trees are an asset to a property. Pruning large trees in the proper way is crucial, as you can damage a tree through over-pruning. 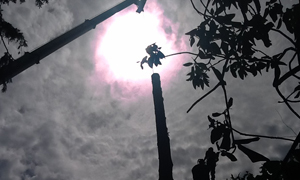 Why Choose Us for Trimming Tall Trees in University Place? Tall trees are spectacular structures that provide ample shade and improve property value. Like all trees, pruning and trimming tall trees is important for keeping them in good health, and also an effective safety measure. If a tree limb weakens or becomes heavy, it could break away from the trunk, damaging the property and causing severe injury to anyone nearby. Trimming tall trees can be a difficult task, which is why it is important to hire a professional tree company who can get the job done safely and efficiently. If you are looking for a tree service company that is professional and affordable, look no further. Call Hunter's Tree Service at 253-777-1938 to schedule our services for trimming tall trees in University Place.